From meager beginnings, the Zoo has grown into a nationally ranked family attraction. The oldest continuous zoo site in Texas, the Fort Worth Zoo was founded in 1909 with one lion, two bear cubs, an alligator, a coyote, a peacock and a few rabbits. From these humble beginnings, the Zoo has grown into a nationally ranked facility, housing more than 7,000 native and exotic animals. During the Zoo’s first 10 years, its collection of animals grew to include a pair of panthers, beavers, cinnamon bears, monkeys and prairie dogs. 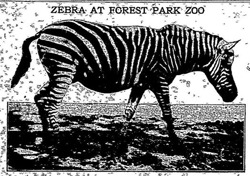 In the early 1920s, two American bison and a zebra were purchased partially from coin donations at the Zoo. From 1909 to October 1991, the Fort Worth Zoo was owned as well as operated by the City of Fort Worth. During the City’s tenure, a long-standing tradition began of collecting money from the community to purchase animals for the Zoo. In 1939, the Zoological Society (now the Fort Worth Zoological Association) formed as a nonprofit organization to help raise additional funds to purchase even more animals. 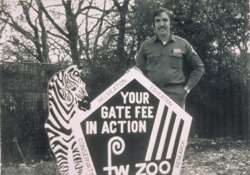 In October 1991 — with the Zoo facing decreasing City support, demands to replace outdated animal housing and declines in attendance — the Association assumed management of the Zoo’s day-to-day operations under a contract with the City of Fort Worth. Since 1991, the Association has raised more than $186 million from private entities, foundations and corporations for Zoo improvements and new exhibits. In 1992, the Zoo hosted a grand reopening, unveiling two new exhibits — World of Primates and Asian Falls — and numerous improvements throughout the Zoo. Within the first year, Zoo attendance soared to approximately 1 million visitors in a fiscal year — almost double the previous year — and has maintained ever since. Since 1992, the Zoo has opened 16 permanent exhibits and support facilities, virtually creating a new Zoo. Ten years of improvements and Association management was celebrated with the addition of Texas Wild! in 2001, which houses seven distinct exhibits within an 8-acre complex. In addition to these new exhibits, substantial improvements have been made to Zoo facilities, including handicap accessibility as defined by ADA standards, as well as improvements to restrooms, shade structures, walkways, food outlets, picnic areas, animal areas and exhibit space. Public reaction to the Zoo’s renaissance has been tremendous, making the Fort Worth Zoo one of the most popular attractions in the Dallas/Fort Worth area. The Zoo has been ranked the No. 5 zoo in the nation by USA Travel Guide, the No. 1 attraction in the DFW Metroplex by Zagat survey and a top 10 zoo or aquarium by FamilyFun magazine.